Jewelry is not our job. Jewelry is our life. The name J. Dostie Jewelers has long been synonymous with uncompromising quality and exceptional value. Founded by Jules Dostie in 1947, the tradition of exacting standards and complete customer satisfaction has been passed from father to son and has now extended into a third generation. No longer do people have to travel to southern Maine, Boston or New York. The finest quality can be found right here in the heart of central Maine. From the deepest, most vibrant blue sapphires to juiciest gumdrop pinks and greens of tourmaline. We pride ourselves on hand selecting most of our gemstones, assuring that you get the quality you would expect from J. Dostie Jewelers. Our jewelry repair department custom fits, restores, refinishes and redesigns articles of jewelry to customer specifications. This department also specializes in custom and one-of-a-kind designs to express your individuality. 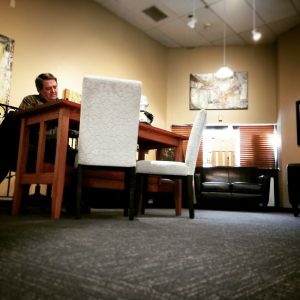 Daniel Dostie is a second generation jeweler who has been designing and creating for over 40 years. 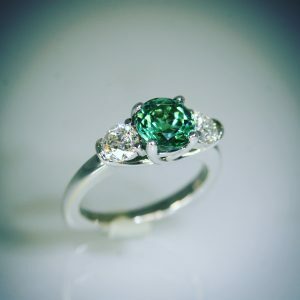 A Certified Gemologist Appraiser, Daniel’s knowledge is not simply limited to the craft but extends deep into all aspects of gemstones and jewelry. 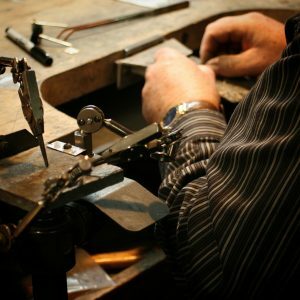 His son Michael Dostie has over 10 years of experience as a jewelry professional and has been developing his own design skills within the trade. At J. Dostie Jewelers we don’t just sell jewelry, we live it, we love it and we want you to have the same satisfaction you get opening that little box the first time, every time. We recognize that each piece of jewelry makes its own fashion statement and must be compatible with its wearer. We are passionate about the quality, craftsmanship and style of not only the pieces we create, but the pieces from designers and design firms all over the globe that we carry. Jewelry is just for her.